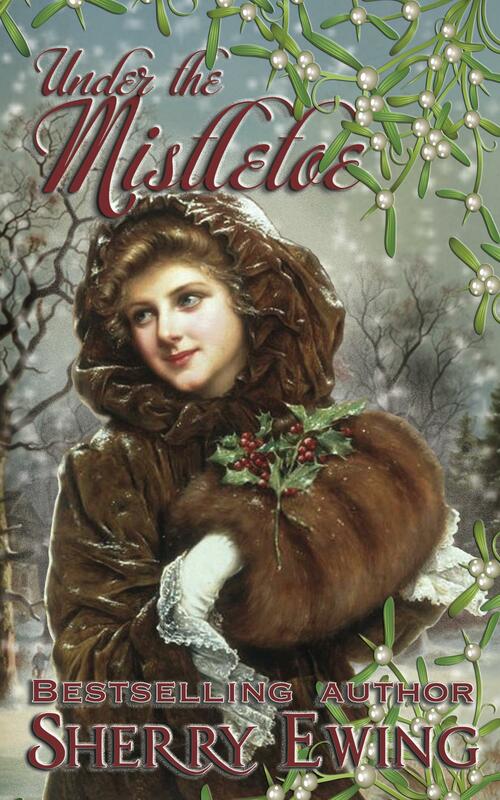 Under the Mistletoe was first published with the Bluestocking Belles’ box set collection Mistletoe, Marriage, & Mayhem. The novella is now available for individual sale. Margaret hung back to enjoy a moment to herself. She was grateful to her mother’s friend for welcoming her so warmly. If only the woman was not driven to show her the many sights of London, as though Margaret had never been here before. She returned her attention to a portrait of a seventeenth century woman. The artist had captured her to perfection, painting the gown in exquisite detail, so that Margaret felt she could almost reach out to feel the actual pale blue fabric of material. “What a beauty,” a male voice whispered behind her. Margaret’s face flushed. She knew that voice, and that tone. That familiar low timbre had teased her many times in their youth. “Yes, she is indeed. See how the painter caught her expression in her eyes,” she replied, trying to sound calm as her heart raced with his nearness. Catching her breath hearing her given name pass his lips, she, at last, turned to face the man whose offer of marriage she had rejected. “Good day, Lord Beacham. How good to see you again after all these many years.” Was that breathy voice really her own? She curtsied and held out her gloved hand. He took it, bowing low, and she tried to remain calm even though her heart was beating wildly in her chest. “I am sure first names are hardly appropriate, my lord, given the circumstances of our last parting,” Margaret whispered with a shaky voice and trembling chin. She had hurt him with her refusal, she knew. How could they return to their old friendship?